Info about interior design, hospitality furniture Projects & Portfolio. With the world growth in many sectors including business across the globe, it gives good consequences for supplying facilities likes hotel, restaurant, resort, residences and public transportation. Activities that require traveling from one place to another impact the hospitality industries growing rapidly. These facts influence the expansion of furniture industries as well. Aside from that, the rapid sale of furniture to worldwide markets including to the importer, wholesaler and retailer of furniture that has become a regular customer of Piguno and also doing some series of hotel project both locally and worldwide, that is why we conclude that in every new hotel built definitely need good furniture. That is why Piguno Hotel and Resort project exists to supply those market. 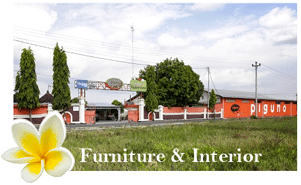 Piguno Completly furniture & Interior projects, Indonesia interior design, Bali wooden house manufacture, decorative lighting, home decor, custom design products and wholesale prices directly by Indonesia furniture manufacture.